The regulations referred to in this Standard and Reference Guide are based on United States laws and regulations, but it is understood that other countries generally have comparable health and safety requirements. Restorers shall understand the laws and regulations related to health and safety for the particular country or locale in which they work. Although there are few specific federal, state, provincial and local laws and regulations directly related to water damage restoration and microbial remediation, there are safety and health regulations applicable to businesses that perform such work. Federal safety and health regulations in the United States that can impact the employees of a restoration business include, but are not limited to the following Occupational Safety and Health Act (OSHA) Standards found in Title 29 of the Code of Federal Regulations (CFR) parts 1910 and 1926: 29 CFR 1910 – General Industry Standards 29 CFR 1926 – Construction Industry StandardsRestoration firms shall comply with applicable sections of both the OSHA General Industry Standards and the Construction Industry Standards. In addition, the OSHA “General Duty Clause” states that “Each employer: shall furnish to each of his employees employment and a place of employment which are free from recognized hazards that are causing or are likely to cause death or serious physical harm to his employees and shall comply with occupational safety and health standards promulgated under this Act.” (See 29 USC 654, §5. – IICRC S500.) OSHA 29 CFR 1910.132 also requires that employers provide their employees with the necessary PPE to reduce the risk of exposure to chemical, physical, or biological hazards. These standards make it clear that the FRC employer’s first responsibility should be the health and safety of their crews. 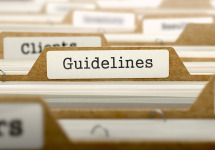 Industry standards, and federal laws and guidelines are designed to help accomplish that, and it’s is the responsibility of employers to ensure they stay abreast of changing regulations and standards. While not all trade associations develop standards, many of them do to help their industry improve safety, increase production, reduce cost, enhance quality, and make products and processes are more environmentally friendly. Now, it’s what we do with those standards that makes the difference in how we represent our industry. Stay safe everyone!